Microsoft has been targeted by a $5m (£2.5m) lawsuit over its Xbox 360 console and the infamous yet almost forgotten scratched disc saga. There have for a long time been many rumours about the Xbox 360 scratching game and movie discs. And now, someone has finally gotten around to taking Microsoft to court. 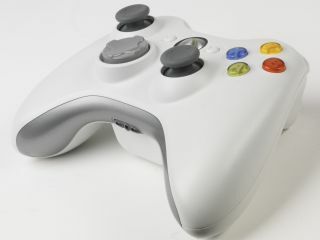 "This is a class action lawsuit brought on behalf of Plainfitt and all others similarly situated in the United States who own a Xbox 360 Video Games System ("Xbox 360") manufactured and distributed by Defendant, Microsoft Corporation, that has caused destructive scratches to the game discs played by the device," reads the class action complain. "The damages of the Plaintiff and off those similarly situated, excluding fees, interest and costs, exceed $5,000,000," it reads. So the Plaintiff in the case, if the case is won, intends to distribute the requested $5m between all the people who have had discs scratched by the Xbox 360. Exactly how that will be arranged is not clear at this stage. It's quite surprising that the disc-scratching problem is the one that has popped up as a class action lawsuit. It seemed much more likely that someone would sue Microsoft over all over the hardware 'red ring of death' problems that seems to affect one in three Xbox 360 consoles.